Chutney is a blend of sweet and/or savory fruits, vegetables and spices. Chutneys come in many combinations, including all fruit or dessert styles. From chunky to smooth, chutneys showcase a variety of flavors and textures. They accompany entrees on the side or can be used in recipes. 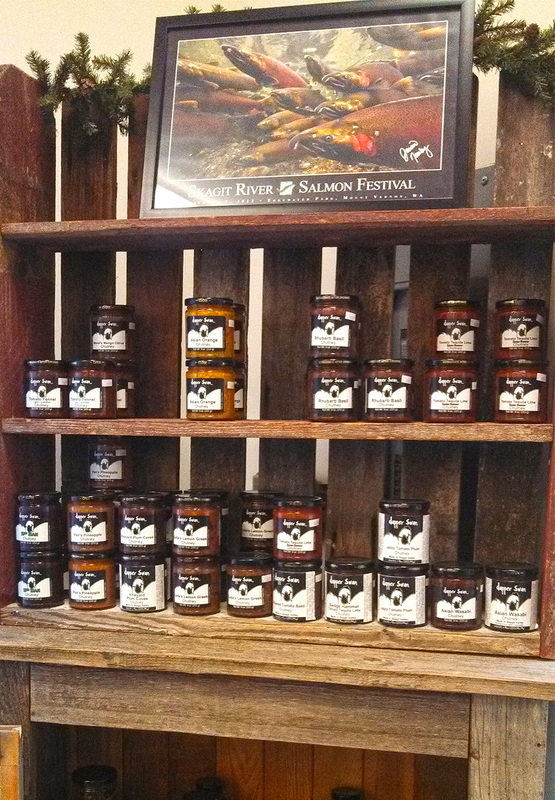 They create wonderful dressings, sauces, dips and glazes. Chutneys are beautiful as garnishes. Originally from India, the first chutneys had the consistency of dipping sauces as honey was the only sweetener available. Preparation and type still vary in India and Pakistan. Like salsa, chutneys were often made with a mortar and pestle. When the British colonized the Indian subcontinent during the late 15th and 16th centuries, they had to rely on pickled and preserved items like chutneys. Next, chutneys were shipped to England and France. By this time, chutney was considered a luxury food item. Until recently, flavor selections were limited in America. Mango was the most common. The American palate has shifted and accepts international cuisine and the new style of “fusion” cooking. Today, chutneys are created and served by famous chefs. Napa’s Thomas Kellar conjures up an eggplant chutney that has a sweet and sour flavor. John Ash shares his chutney flare with a tomato and golden raisin version in his well-known cook book “From the Earth to the Table”. Modern chutneys include worldwide flavors and textures. They are both sweet and savory, just like their Indian roots. Use them with appetizers, BBQ’s, entrees, salads and desserts. Cook like a pro, be creative and enjoy the large variety of chutneys available by Dapper Swan. Gourmet. Easy.